The Steve Miller Band recently announced plans for a brief headlining tour of the Southern U.S. in March. Now the group has lined up a lengthy stateside summer trek that also will feature veteran country act Marty Stuart and His Fabulous Superlatives. The trek, which is billed as “An Amazing Evening of Original American Music: Classic Rock Meets Classic Country,” kicks off June 13 in Des Moines, Iowa, and is plotted out all the way through an August 30-31 stand in Woodinville, Washington. 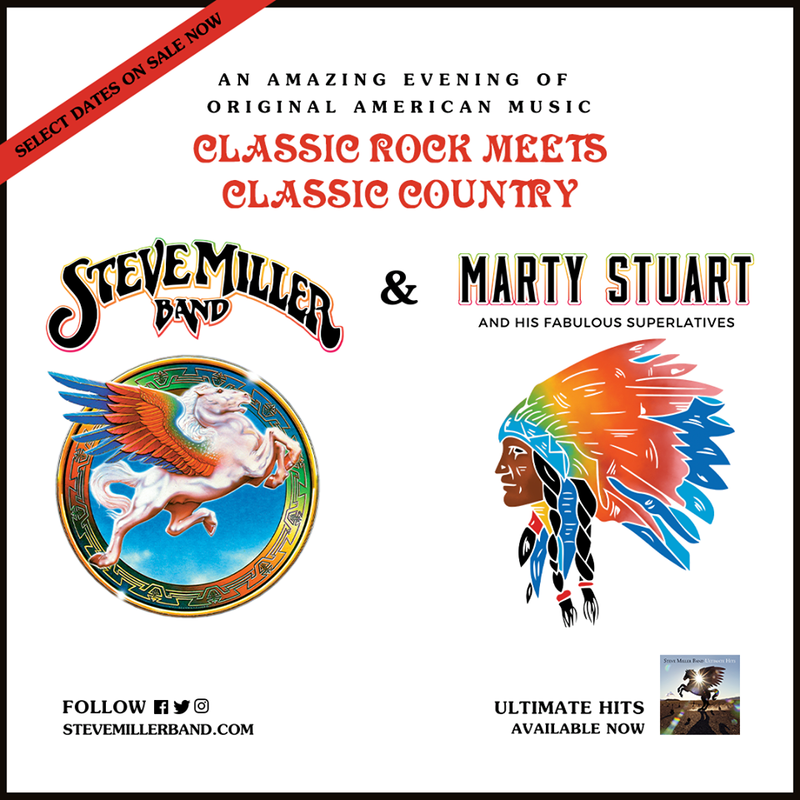 The tour includes 35 dates, while Miller also has two headlining shows scheduled on off nights of the outing. = without Marty Stuart and His Fabulous Superlatives.